The upcoming dates for this expanded duty course. 750.00 which will include all necessary supplies. We will email you the study Guides along with any other necessary paperwork. The course begins with power point presentation, background information on all course content, and will end with a test on each course IV, V, VI. The students are led through all aspects of expanded duties. Furthermore, we incorporate extra learning time for the hands on portion. (a) Possess current certification that the candidate is a Certified Dental Assistant. 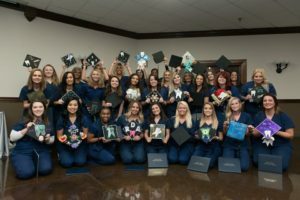 (b) Be a graduate of a one (1) year accredited dental assisting program or a dental assisting program approved by the Board or be eligible for graduation. Dental Staff School is approved through the Georgia board of Dentistry. (c) Has been employed as a chair side assistant by a licensed dentist for a continuous six (6) month. Note: Under Direct supervision: A type of supervision in which a dentist is in the dental office or treatment facility, personally diagnoses and treatment plans the condition to be treated, personally authorizes the procedures and remains in the dental office or treatment facility while the procedures are being performed by the allied dental personnel and evaluates their performance before dismissal of the patient. The Georgia legislature passed a law in the 2017 that allows dental assistants to use rubber cup prophy on a patient with primary dentition. The board is currently establish training and education requirements for this function. In Tennessee, Dental Staff School teaches a CE course for Coronal Polishing. 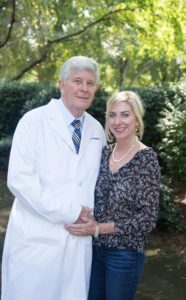 To successfully complete ANY Expanded Duties course and receive the certificate that allows you to legally perform these expanded functions within the State of Georgia, you must PASS both the WRITTEN test and the CLINICAL portion of the courses. Note: The Dental Staff School reserves the right to cancel any class that does not meet minimum participation requirements. Course 4 is taught on Friday and Saturday Course 5 and 6.All registration fees may be transferred to another course date if notification is received at least 30 days prior to the scheduled course date. Cancellations or transfers after that time will not be permitted. There are NO REFUNDS.